Good afternoon everyone! I hope you are all having a wonderful Tuesday. Today I have a product review to share with your guys, complements of Influenster. 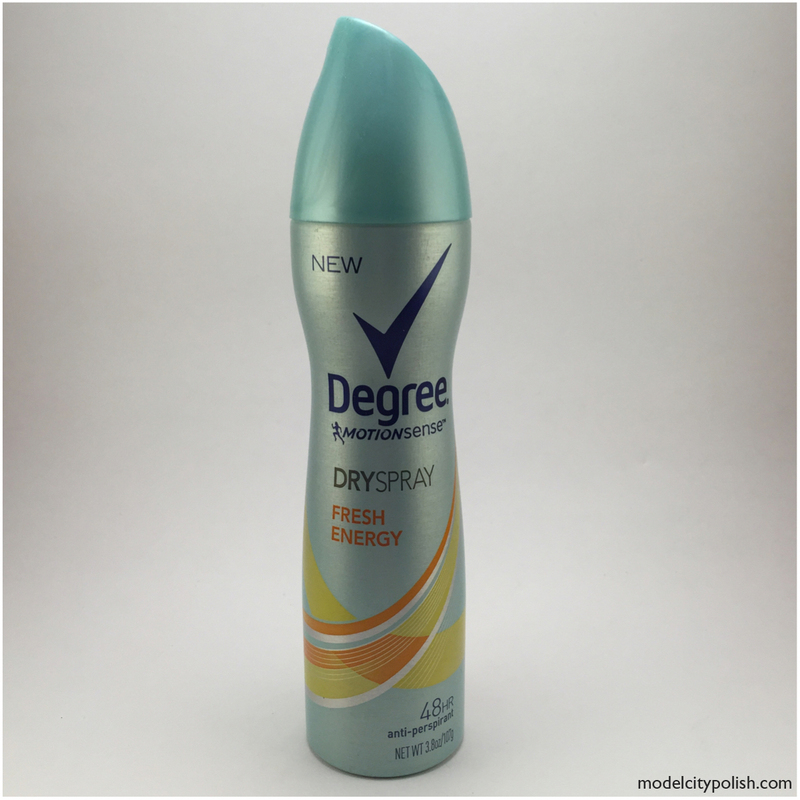 Towards the end of last month I received a full size bottle of the new Degree MotionSense Dry Spray Deodorant. I have been using for the past few weeks, even during my quick trip to Miami, and I have some mixed reviews. This was my first time using a spray anti-prespirant and I have mixed feelings. The product itself was very easy to use and the bottle was designed for perfect control and application. They claim a 48 hour coverage but at the end of the day I felt like I needed to apply more for a fresh feeling, but only a feeling thing the product it self did still seem to be working. The one thing I didn’t care for was the actually spray aspect. The scent was pleasant but once sprayed the a small confinements of my bathroom, it seemed to take over and left me nauseas. I would certainly recommend using in a VERY well ventilated area. All in all the product would be great for those on the go but for everyday use I will stick with my Degree Conditioning Solid. This product was provided for review but that does not influence my final opinions. I always feel like aerosals come out so cold on my skin haha. Hahahaha! I remember in school when the boys were finally at the point they NEEDED deodorant. They thought they were finally men and need to apply at least 10 times a day. The halls were filled with nauseating cologne clouds of anti-persperant! lol!